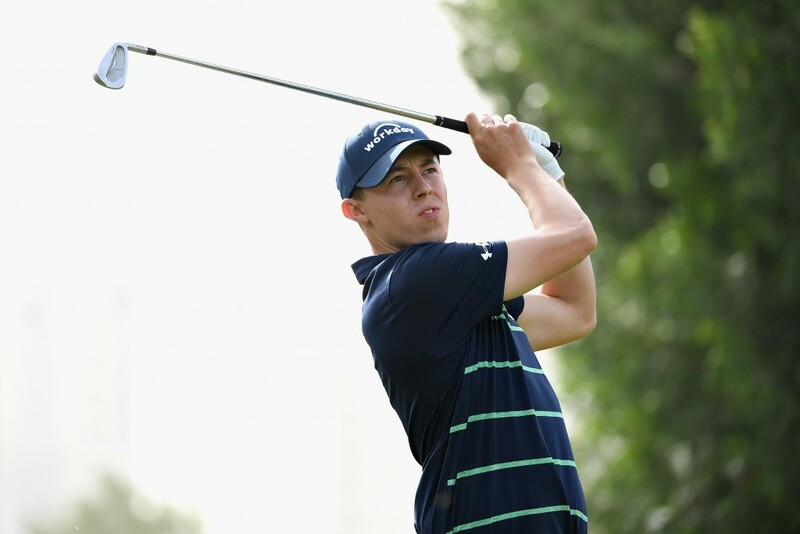 MATT Fitzpatrick closed his opening round 65 at the Omega Dubai Desert Classic with four successive birdies to move into a one-stroke lead at Emirates Golf Club. The South Yorkshire ace, whose two most recent victories have come at the 2017 and 2018 Omega European Masters, got off to a perfect start in his first European Tour event of 2019. After an opening birdie he picked up seven more, including five in his final six holes, to move to the front on seven-under par. Fitzpatrick finished runner-up in the opening event of this season at November’s Honma Hong Kong Open, and is – alongside Swede Alex Noren – one of only two players to have won in all of the previous four European Tour seasons. Eight players, including 2017 Masters Champion Sergio Garcia and World No. 5 Bryson DeChambeau, shared second place on six-under, while defending champion Li Haotong was among those two shots back. A delighted Fitzpatrick said: “It was obviously a great finish to the round. “A couple of things I’ve been doing in the off-season looked to have paid off a little bit, so I just added a bit of extra length to my driver. “It’s given me a few yards to help get on in two on the last because I’ve never been able to do that. “And wedging it a lot better has given me a few more chances coming in. “I was really disappointed with my season last year, second in Hong Kong kind of saved it a little bit at the end of the year there. “But I knew a lot of things needed to change. I needed to work on different parts of my game, different shots, and really did feel like I put in a lot of work. Garcia who won his first Masters nearly two years ago after beating Justin Rose in a play-off, said: “It’s a new year, and I’m excited to do some good things. “I think that obviously I’ve started fairly well. Felt pretty good last week other than a couple little moments here and there. “You know, it’s normal, it’s the beginning of the year –still a little bit rusty. But today was a nice solid round, and we’re just going to keep it going. “I felt like I played better as the round went on. I felt like the back nine I hit a lot of good iron shots, and because of that, I was able to score a little bit better. American DeChambeau, who won four times on the PGA Tour in 2018, said: “I didn’t feel like I was hitting it my best, anywhere near my best. “I was able to recover in a couple situations, made a couple long putts, and then got up-and-down on six, which was huge. “I even missed a couple putts. I just felt like it was a scrappy round, but I got it out and shot 66 today, so happy. “It was mainly off the tee that I wasn’t comfortable, and so in that case, I’m trying to be a little more conservative off the tee, making sure I can get it somewhere in a spot where it’s okay, and then when I do have the opportunity to go for it, flag it.